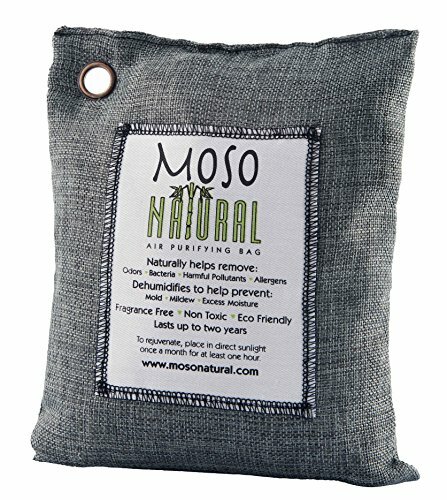 Details: The 500 gram Moso Natural Air Purifying Bag is an easy and convenient way to maintain fresh, dry and odorless environment. 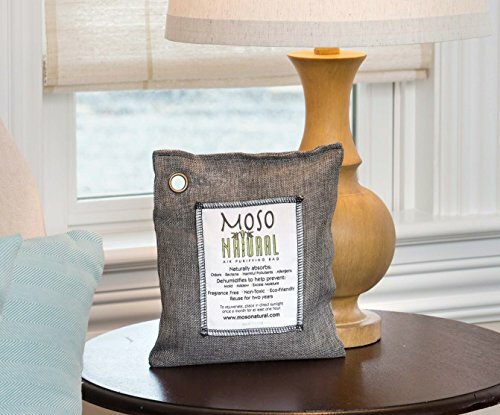 Made of just one incredibly powerful, natural ingredient, moso bamboo charcoal, the Moso Bag is continuously working to effectively absorb and remove odors, allergens and harmful pollutants and to clean and freshen the air. 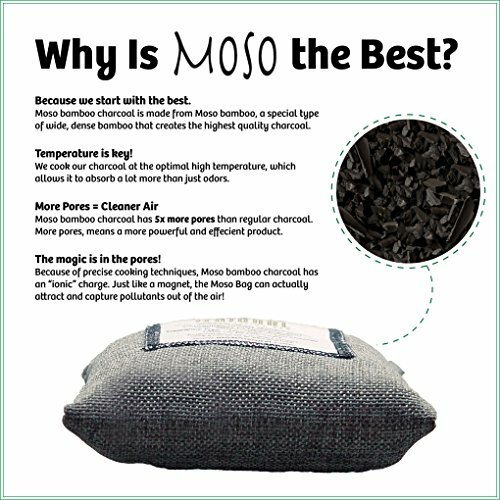 The bamboo charcoal neutralizes even stubborn smells, such as those caused by smoke, pet urine, cat litterboxes, wet dogs, gym shoes and more. 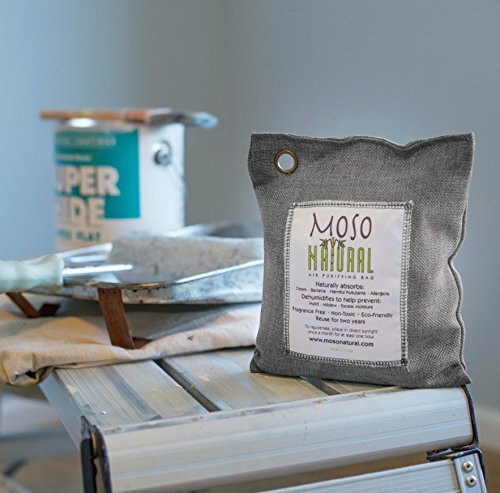 The Moso Natural odor absorber is also excellent for use in damp, musty environments, where it will absorb excess moisture to prevent mold, mildew and bacteria from forming. Finally, an air cleaner that is good for people and tough on bad smells while it automatically freshens and cleans the air. 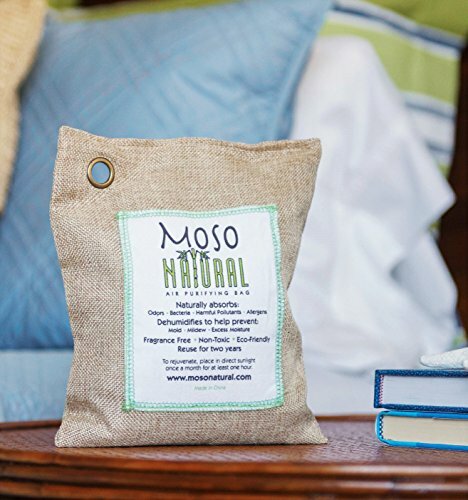 The Moso Bag is a natural, alternative to chemical deodorizers, candles, gels, sprays and crystals that are not healthy for people and not good for the planet. 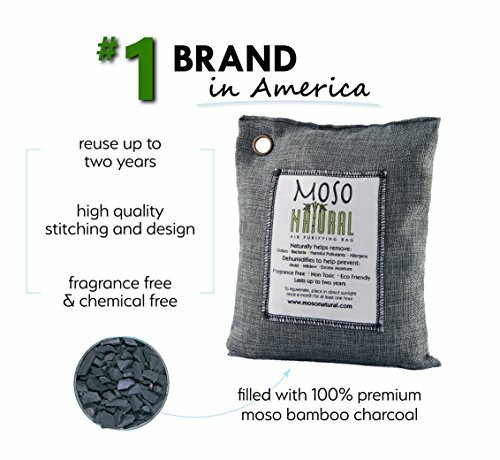 The natural bamboo charcoal is sealed inside a beautifully stitched linen bag that can be placed on any surface. 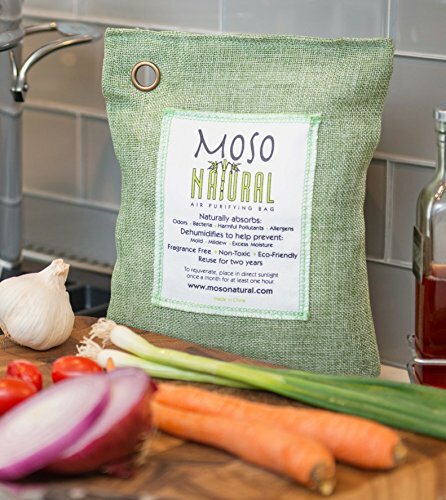 To reactivate, place the bag outside in the sun once a month for at least one hour. 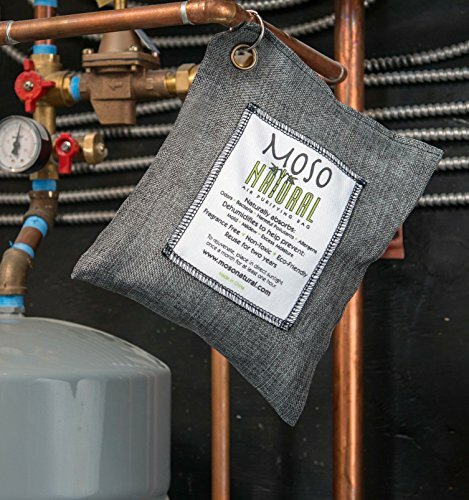 With proper care, the Moso Bags will last up to two years and at the end of the bag’s lifespan you can recycle the bamboo charcoal into the soil. 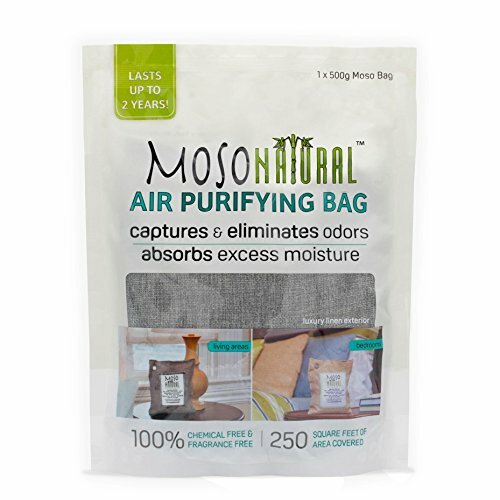 The bag is easily portable and can be moved from room to room wherever there’s a need to remove nasty odors.